"... and what did you do all Summer?" Go to as many open mats as possible. Going to Open Mats is the most important thing you can do to get better. Try moves and seek out the best guys in the room. Invite guys to Bexley's open mats. 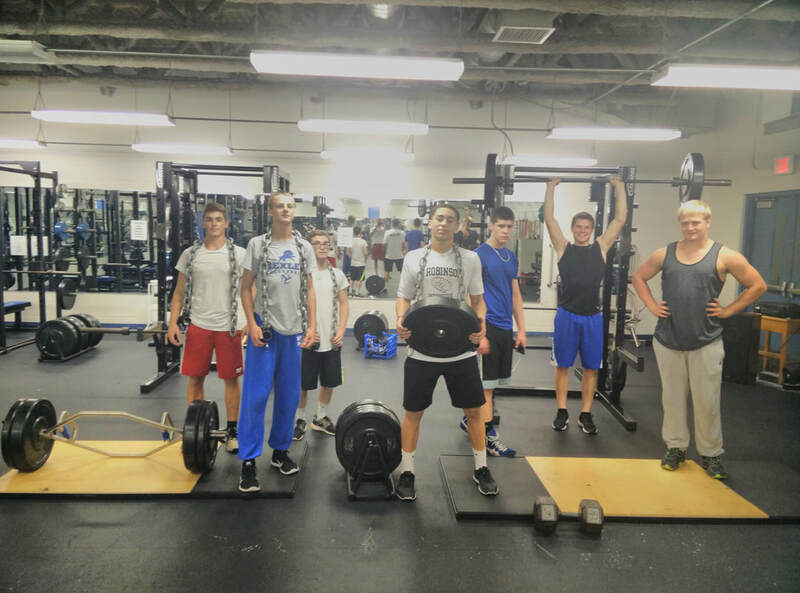 You need to be in the weight room! We suggest at least one camp a year. There are three camps listed below which are fairly well known in Ohio. Each one of these camps has multiple sessions to attend so if one week or weekend does not work out, there is usually other sessions you can make work. Feel free to look at others as most colleges with wrestling programs hold a few every year. We suggest you go to as many as possible, at least one a month. These are the main sites which show the open tournaments in the off season in Ohio. If you plan to go to another state for a few weeks and would like to participate, there are open tournaments in most every state. Ask one of the coaches to help you find one if you are having trouble.